FIRST ANNUAL EVENT FOR GHS ALS CLINIC. 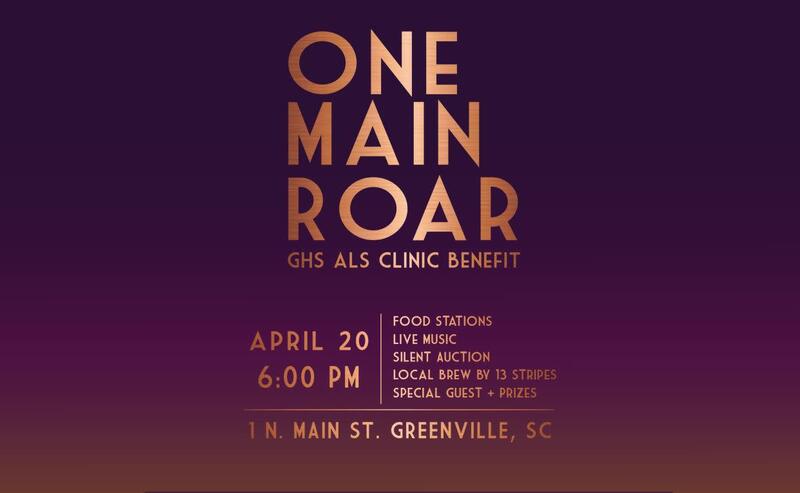 The Clemson MBA Student Association is honored to host their first annual event for the Greenville Health Systems ALS Clinic, One Main Roar, as their first major benefit to support patients and families of the upstate living with ALS. This years event will feature live music, brews by 13 stripes, live music and silent auction. They are a graduate student led organization at Clemson University connecting students, alumni and the local community through philanthropy and professional development.